Disney’s Contemporary Resort, also referred to as (Cont) is one of three Deluxe Resorts located on the Magic Kingdom monorail line, and is one of eight Walt Disney World Deluxe Resorts. The average rate per night is approximately $399.64, before tax. The typical standard room is approximately 437 square feet and can sleep up to five (5) guests. There are 655 guest rooms at the Contemporary Resort. The Contemporary is one of the two original resorts built when Walt Disney World originally opened in 1971, the other being The Polynesian (aka Polynesian Village Resort). The Contemporary is known as an ultra-modern resort with award-winning dining. 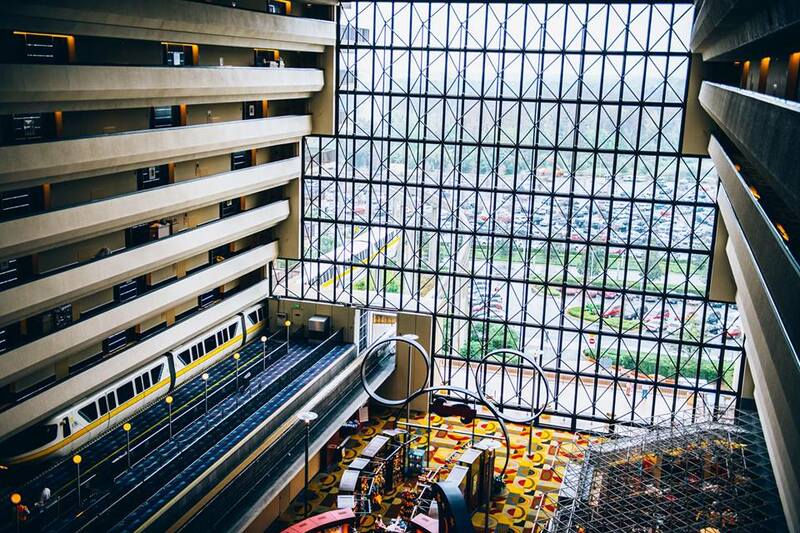 Guests can literally walk to Magic Kingdom park, or easily hop on the Resort Monorail as it rides straight through the Contemporary Tower. 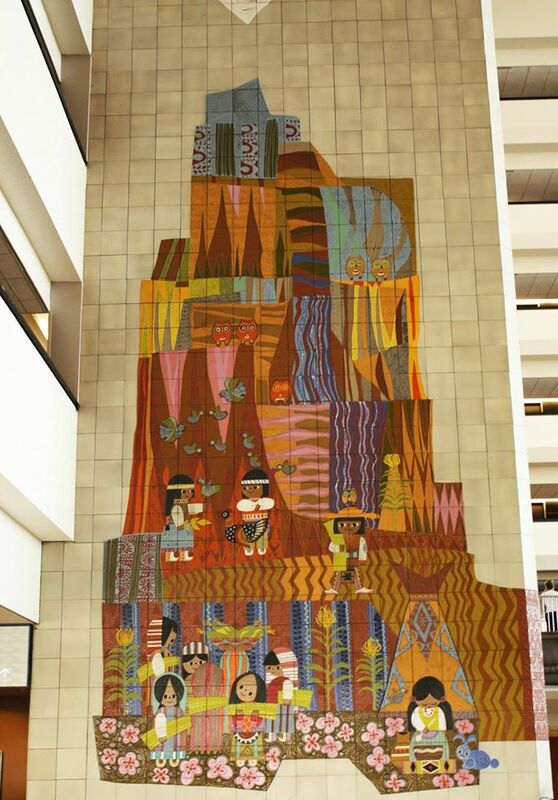 Inside the resort guests will find a 90-foot-tall mural by Disney Legend Mary Blair which celebrates the American Southwest. The Contemporary Resort has white-sand beaches, breathtaking views (especially from the observation deck on the 15th floor at the California Grill (my all time favorite restaurant in the world)), as well as top of the line recreation. Sammy Duvall’s Watersports is located at the Contemporary. The Wave…of American Flavors – Breakfast, lunch and dinner are served American style. Chef Mickey’s (Character Dining) – Breakfast and Dinner are served at an all-you-care-to-enjoy buffet with Mickey, Minnie, Donald, Goofy & Pluto. California Grill (Signature Dining) – Open for dinner only, this amazing restaurant on the 15th floor of the resort can only be accessed by a private elevator. The food is inspired by the West Coast. 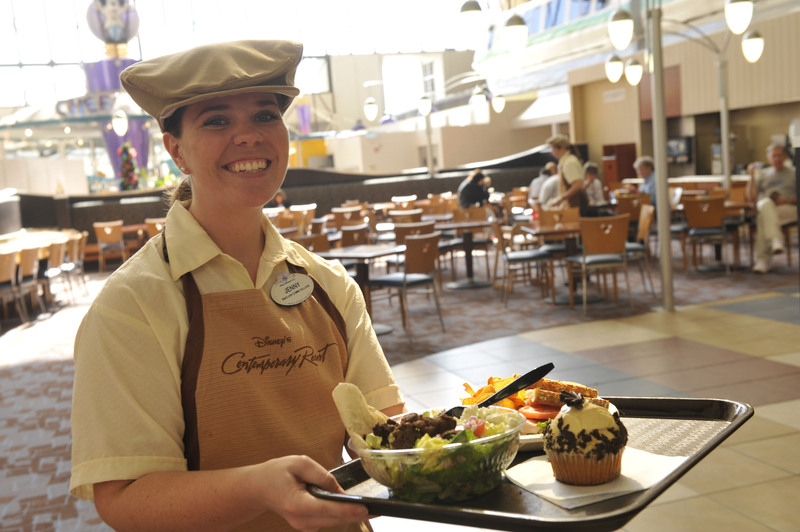 Contempo Cafe’ – Serving breakfast, lunch, dinner and snacks. Guests can special order their meals with touch screen kiosks. Contemporary Grounds – Serving gourmet coffees and baked goods from 5:30-11:00 a.m. daily. California Grill Lounge – located on the 15th floor. Cove Bar – Bay Lake Tower Pool bar. Outer Rim – great place to wait for your table at Chef Mickey’s! 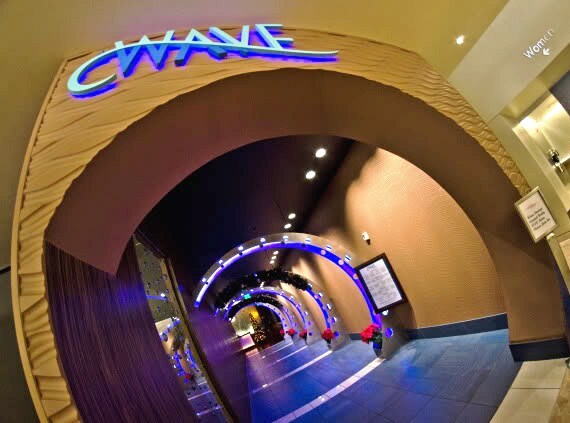 Wave Lounge – located inside The Wave…of American Flavors. Serves organic beer. A Contemporary Classic, the article written by Christy S. and was posted to the site on April 11, 2015. California Grill, Great Food, Gorgeous View! was written by Christen G. and the article posted to the site on June 25, 2015.